The Lancet, MAP and Sir Iain Chalmers’ “interesting figure” of Six Million. Sir Iain Chalmers discussing “Zionist control in so many different domains”. Since 2009 The Lancet medical journal has been working with Medical Aid For Palestinians and other researchers as part of the Lancet-Palestinian Health Alliance (LPHA). LPHA researchers mainly consist of Palestinians living in the West Bank, Gaza and the Palestinian diaspora, which includes Palestinians living in the twelve Palestinian refugee camps in Lebanon. They are also non-Palestinian medical practitioners like Dr Richard Horton, The Lancet’s editor, and Professor Mads Gilbert. This research has been amalgamated into publications for the years 2009, 2010, 2011, 2012 and 2013. 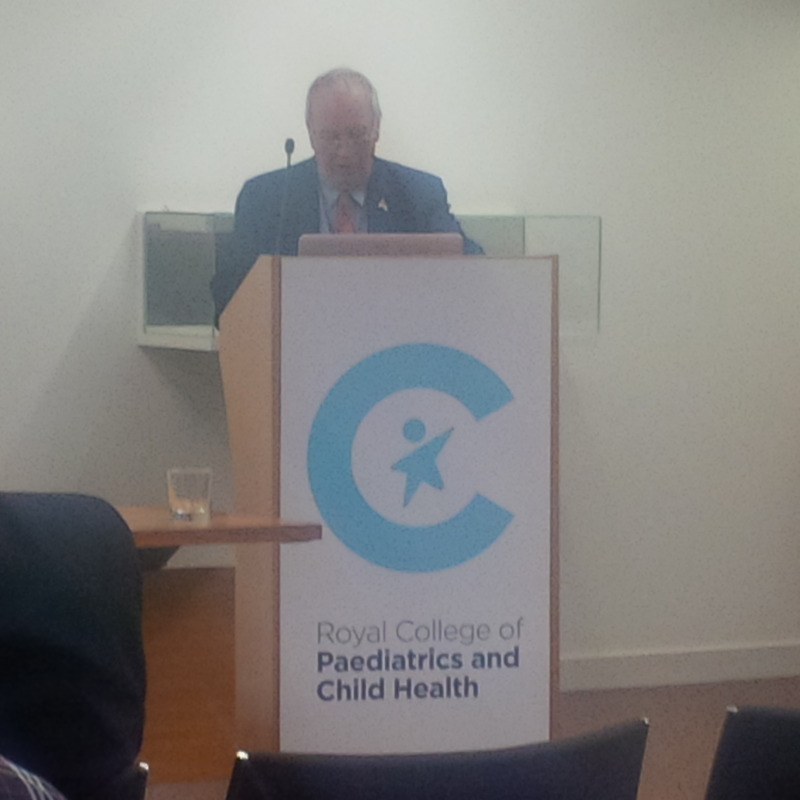 The 2013 publication was launched last night by The Lancet and MAP at the Royal College of Paediatrics and Child Health. 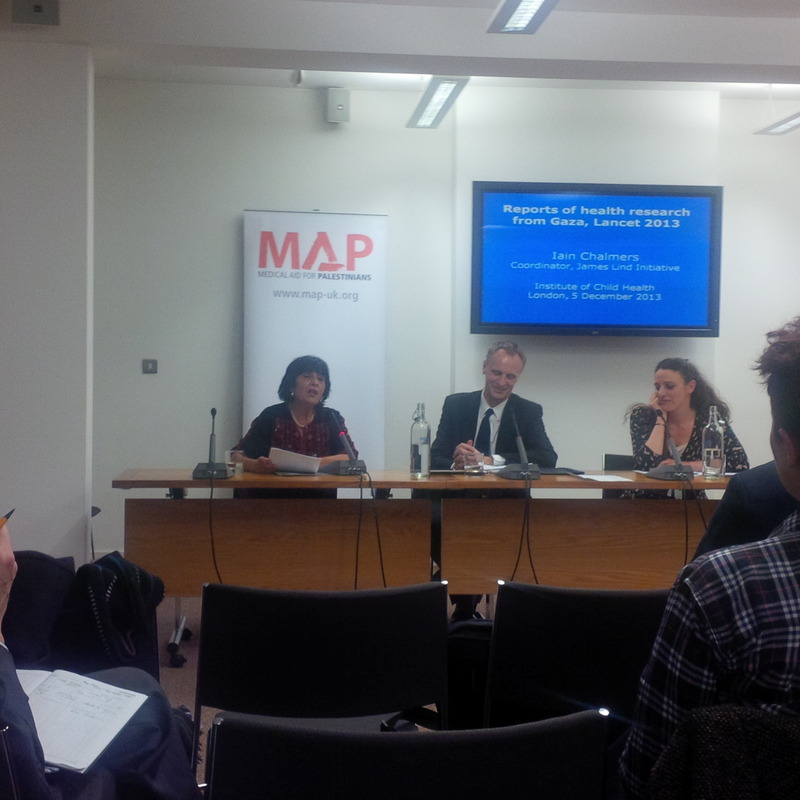 The 2013 publication focuses on “the direct and indirect health effects of the Israeli occupation and conflict”. “Israel uses ‘collateral damage’ for killing innocent bystanders including children. It screams ‘self-defence’ hiding the root cause which is Israeli occupation of Palestinian land and injustice to Palestinians. While Palestinians living in Israel call themselves ‘Palestinians living inside the Green Line’, Israel insists on calling them ‘Arab’ trying to deny them their identity”. Then to the lectern came the main instigator of LPHA, Sir Iain Chalmers. Chalmers has been an almost permanent fixture in Gaza since 1970. He met his wife there and they even went to Gaza to celebrate their recent 70th birthdays. Chalmers: Six million is a lot of people. How will the Jewish state deal with the non-Jews whose lives it controls? I wonder if others in that meeting recall those words being used. Afterwards I pressed Dr Horton into answering my question about whether LPHA reports mention the effect Hamas has on the health of Palestinians. His reply was along the lines of “That is a good question but this is an evolving work in progress”. So, no mention of the effect of Hamas’ oppression of women, gays and dissidents on the mental health and physical well-being of Gazans in five years of LPHA publications? But, then, would you criticise Hamas if you lived in, or regularly visited, Gaza? I think Sir Iain Chalmers’ “that would be very good” response when asked about “the end of a Jewish state” during that 2010 interview possibly answers everything one needs to truly know about the politics of LPHA. Save the children…except when they’re Israeli. 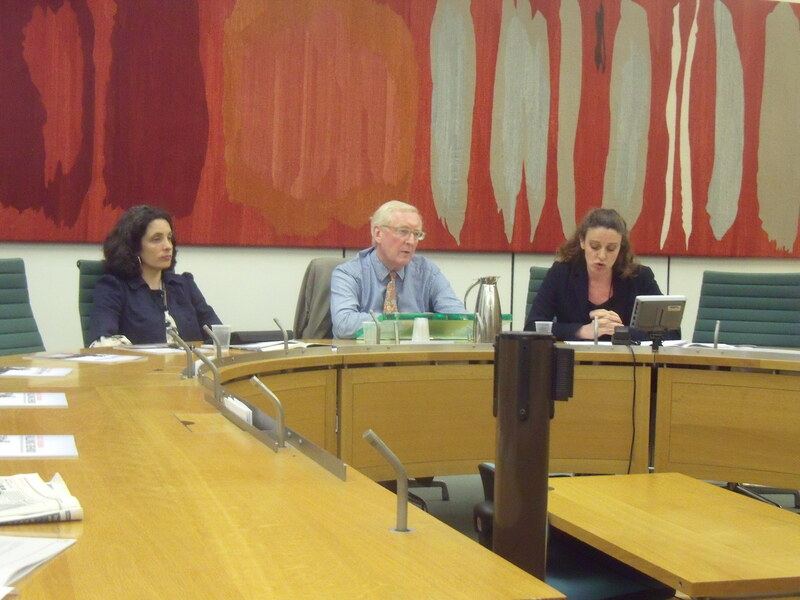 Kerry Smith (Save The Children), Lord Warner, Aimee Shalan (Medical Aid for Palestinians) last night. I was back at Parliament last night for the launch of a joint report by Save The Children and Medical Aid for Palestinians called Falling Behind – The Effect Of The Blockade On Child Health in Gaza. The same day a report was released called Children in Military Custody. This may explain why there were only 20 people at my meeting. It must have been a good day to release bad news about Israel. 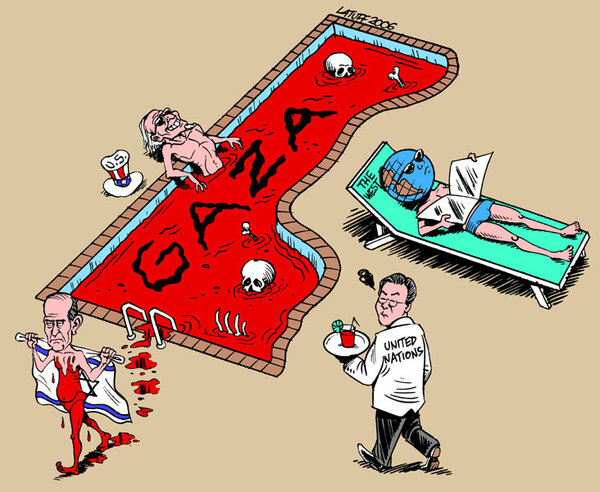 With politicians, NGOs and charities totally impotent to stop massacres in Syria and starvation and disease in Africa they got back to doing what they do best; delegitimising Israel. This despite Article 6 of the British Mandate which called for “close settlement by Jews on the land”. So when did those “settlements” suddenly become “illegal”? Children in Military Custody also relies heavily on a recent report on exactly the same subject matter by Defence for Children International – Palestine Section called Bound, Blindfolded & Convicted: Children held in military detention. The main problem with Bound, Blindfolded & Convicted is that all the testimony was taken anonymously. Similarly, Children in Military Custody adopted the ‘Chatham House principle’ of not attributing quotes to individuals, again making it impossible to test the evidence. Meanwhile, the Israeli Embassy in London responded to Children in Military Custody by noting that Palestinians under the age of 18 were encouraged by school textbooks and television programmes to glorify terrorism. As a result they were often involved in lethal acts which presented the Israeli authorities with serious challenges. But the Embassy said Israel intends to study the recommendations “as part of its ongoing efforts to find the most appropriate balance between preventing violence and treating perpetrators with humanity”. As for Falling Behind – The Effect Of The Blockade On Child Health in Gaza Kerry Smith (Humanitarian Advocacy Adviser, Save The Children) and Aimee Shalan (Director of Advocacy and Communications, Medical Aid for Palestinians) solely blamed Israel’s blockade for the apparent swathe of malnutrition and disease sweeping the children of Gaza caused by, inter alia, lack of medicines and there being (literally) no safe drinking water in Gaza. I asked how this could be the case if the average age longevity in Gaza is better than parts of Britain, specifically Glasgow (in Gaza average life expectancy is 74.16 years). Labour’s Lord Warner, who was chairing, explained that it was only since Israel’s blockade that there had been a rapid deterioration in child health in Gaza, therefore only in 10 to 15 years time will we truly see how far average life expectancy in Gaza has dropped as a result of the blockade. I then asked how it was that there could be such a shortage of medicines considering the existence of the likes of Save The Children and UNRWA. Why would Israel block these medicines? This time the blame was with Israel’s bureaucracy which meant that much of the medicine arrived out of date. Oh, and Israel kept only one crossing open (Kerem Shalom). Someone from the audience shouted that it was “all intentional”. I also asked whether Egypt should take any responsibility for Gaza, but was told that Egypt’s border with Gaza is closed at the request of Israel. Hamas wasn’t mentioned once, except for when Lord Warner said that he didn’t believe it was full of terrorists. Kerry Smith and Aimee Shalan then called for Israel to lift its blockade to enable free movement in and out of Gaza. Should Israel heed this call it wouldn’t be long before it was burying many of its children blown up in Hamas and Islamic Jihad suicide bombings. So just to recap Save The Children, United Nations Relief and Works Agency (UNRWA), Hamas, Amnesty, War on Want, Egypt etc. have no responsibility whatsoever for Gaza. All responsibility lies totally with Israel who should immediately open itself up to the risk of Palestinian suicide bombers. But, then again, you knew that didn’t you….